You still get a G&T, and some food too! New York is a city which defies seasonality. Everyone wants to experience a New York summer, and thanks to the undeniable charm of central park and Rockefeller Center around the holidays, everyone wants to come in the middle of winter too. Plus, coats are generally on sale around then, which may come in handy. There’s an all out fare war going on right now, as British airlines like Virgin Atlantic and BA battle it out with imposing competition, offering fares as low as £265 round trip. If you’d like the traditional airline experience, minus the free checked bag, these £287 round trip flight deals are about as good as you get. United, American and British Airways are each out with £287 round trip airfare to New York City, and on direct flights too! If you can stretch the bank £20, you can score Virgin Atlantic flights for £307. These deals include a carry on bag and personal item (which you should totally maximize) as well as complimentary bar service and meals. These offers don’t include checked bags, but if that’s a deal breaker, you can pay up to a slightly higher fare to lock in a checked bag, and jump out of the “basic economy” bracket. For direct flights to New York City when you want to go, on the experience you tend to know – you won’t do much better. These hot fire deals are available from September 2018 thru May 2019, with the exception of the festive season from mid December thru early January. Not every single date will be available, but there are at least 15 days a month where you can score one of these fantastic prices and lock in the NYC trip you may or may not deserve. You’ll need to stay a minimum of one night in NYC to lock these prices in, which shouldn’t be a big deal to most people, since that’s kind of the point of going in the first place. Google Flights is your friend, allowing you to click around with ease, and find the best prices just by looking for the magic green dates. To make things as easy as possible, we’ve made easy to use links for each month, putting you just a click away from the tourist traps of the Big Apple, and if you’re smart, some much better things to do too. Here are the best flight deals in: September, October, November, December, January, February, March, April and May. Simply change the dates to make something that works for you. And here’s how to spend 48 perfect hours in New York City, like a local legend. 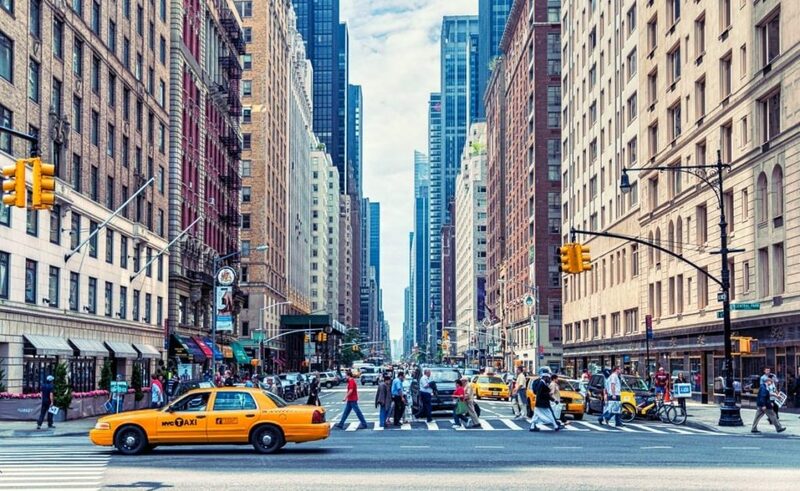 Are you jetting off to NYC on one of these awesome deals?